If your elderly family member doesn’t drink enough fluids, she’s likely to become dehydrated. But the signs of dehydration don’t always look the way you expect and your senior might not experience thirst the same way she did when she was younger. This complicates the situation. Her Lips and Skin Seem Dry. When your aging adult isn’t drinking enough water, she’s liable to experience issues with her skin. It might become drier and even flaky. Her lips are especially vulnerable to drying out and cracking. Watch for signs that your elderly family member’s skin and lips aren’t looking or feeling the way that they normally do. She Might Be Warmer than Usual. Older adults have a more difficult time regulating their body temperatures anyway, but dehydration can make that task even tougher for their bodies to handle. Your elderly family member might not notice that she’s feeling warmer or she might mention that she is. Touch her skin to gauge how warm she is to the touch. Her Pulse Is Faster than Usual. If your senior mentions that she feels as if her pulse is more rapid, this can be a sign that she’s dehydrated. You might also notice this if you test her blood pressure regularly with a home blood pressure monitor. Try to make note of the pulse rate that the machine records so that you have an idea how much faster it might be. Dehydration changes blood levels and that can create some side effects that you might not expect, such as headaches. 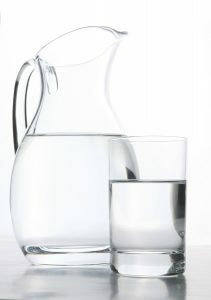 Often these headaches can fade or go away if your elderly family member drinks some water. If she doesn’t keep up with hydrating, though, the headaches are very likely to return. She Seems Confused More Often. A common side effect of dehydration for aging adults is confusion. You might think that your elderly family member is in danger of developing something else, such as cognitive issues. The brain relies heavily on water to be able to function, so not drinking enough water can lead to trouble thinking and communicating. If your elderly family member has a habit of not drinking as much water as she really should, it might be helpful for her to have senior care providers with her during the day. They can remind her to drink plenty of fluids and keep up with her progress when you can’t be there.